Oil (is obligated in maaser, tithes), from when it descends into the ukah. Even though it descended, one may take it from the akal and between the mamal and the patzim, and put it into the chamita and the tamchoi (and it will not become obligated in maaser), but one may not put it into a pot when they are hot (for then it will become obligated in maaser). 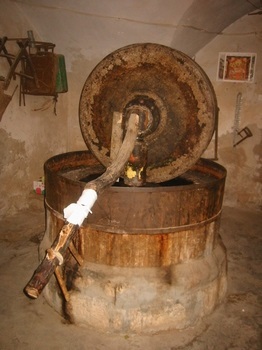 What does an oil press look like? My friend and I are having some trouble understanding this mishnah. 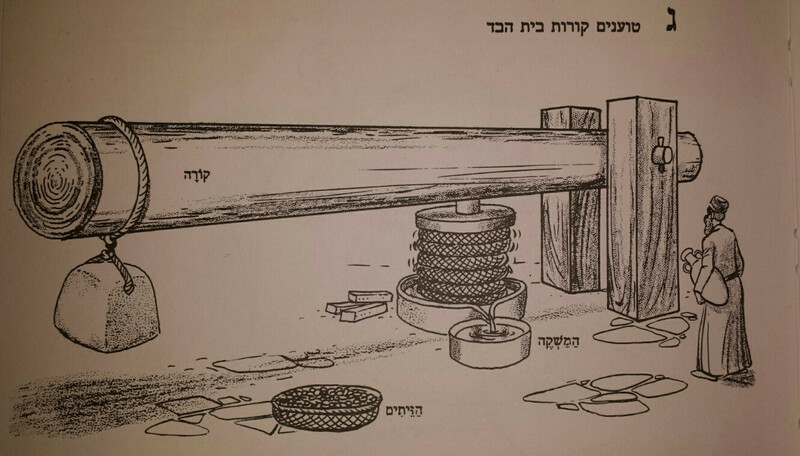 We share a basic understanding of what an oil press looks like, but we're not certain what all the pieces mentioned by the mishna are. All pictures from 'Pnei Shabbat', pictorial guide to Mishnayot Shabbat by Yonatan Gerstein. 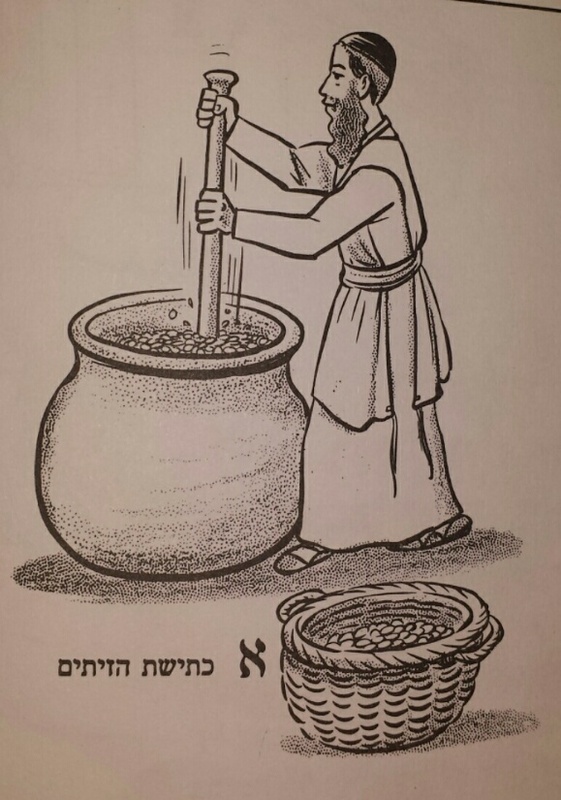 This is from Perek 1, mishna 9. 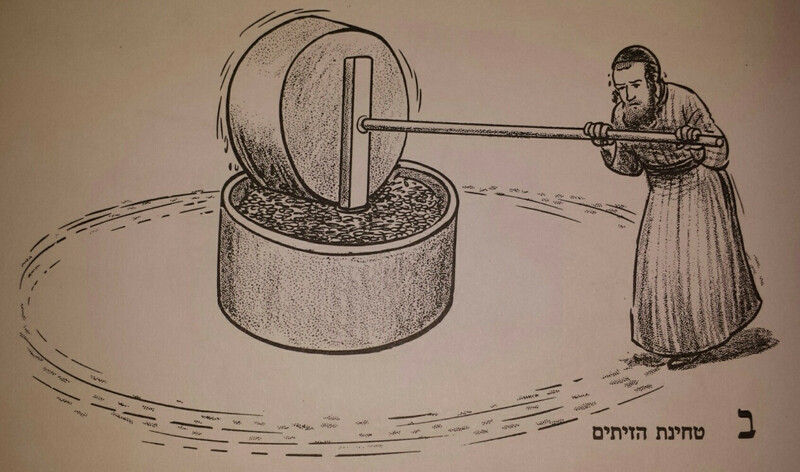 Ancient millstone for grinding olives in Dir Hanna, Israel (Kfar Yochanan in the Mishnaic period). 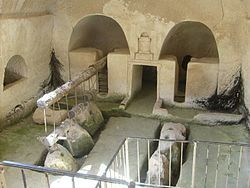 Ancient oil press for compressing olive paste (byproduct of previous grinding step) in Beit Guvrin, Israel. Not the answer you're looking for? Browse other questions tagged technology mishna fruits oil .